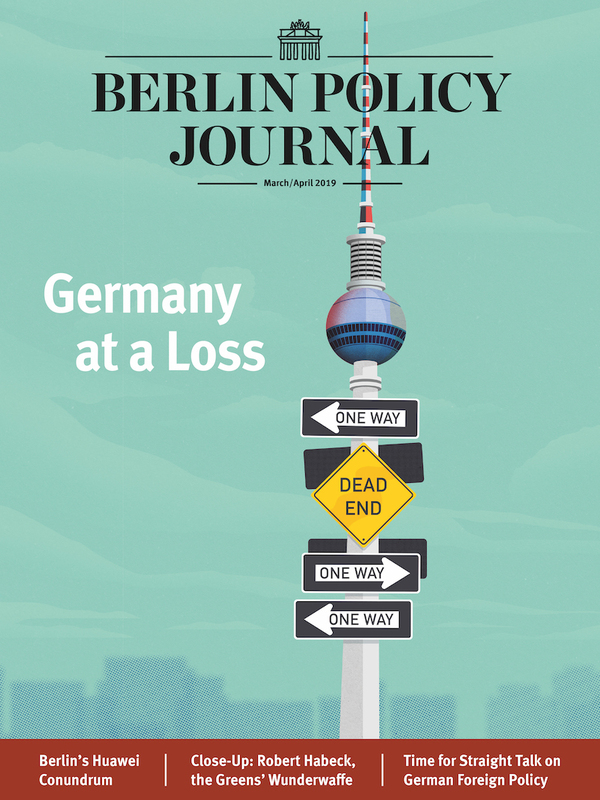 In Germany‘s soporific election campaign, issues are curiously absent. One reason is that mainstream parties are afraid of the right-wing populist Alternative for Germany. With just weeks to go until federal elections, Germany is eerily quiet. No heated debates here; not even a clash of personalities that could help liven up what must be one of the most boring campaigns ever. Merkel’s CDU/CSU enjoys a comfortable lead, but that is more due to the chancellor’s long-lasting popularity than a deft campaign strategy. In fact, all of Germany’s major parties appear to be struggling to get voters interested. 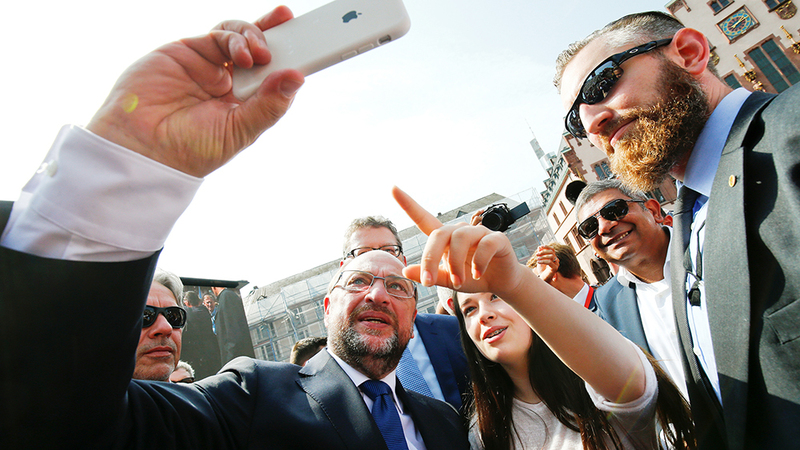 Merkel’s main contender, Martin Schulz of the Social Democrats (SPD), put social justice at the center of his platform when he announced his candidacy earlier this year. It was February, and Schulz’s Robin Hood image jolted the country from its winter slumber. He vowed to make Germany fairer and more equal, and his numbers soared in opinion polls. It appeared, ever so briefly, that Merkel had cause for concern. Since then, however, Schulz and the SPD have crashed back down to earth, now polling at a paltry 24 percent – despite the fact that the issue of inequality actually does appear to resonate deeply with voters. A recent survey by the British pollsters YouGov found that 79 percent of Germans perceive a lack of social justice. The YouGov study indicates that Schulz may have cast his net too wide. Social justice can easily be fragmentized into smaller issues – health insurance, pensions, or education, for example. These issues tend to resonate only with the social group directly connected or affected, like senior citizens or parents of young children. “What the SPD considers to be social justice is simply not a topic,” said Geissler. It is not the only issue to fall flat on this summer’s campaign trail. After the wave of populism that swept across Europe last year and the recent elections in France, taking a stand on the European Union was en vogue: Being pro-Europe meant standing for shared values increasingly under threat. Yet most Germans are already pro-Europe, says Geissler, and blank platitudes about European solidarity sound out of touch. Only the right-wing populist Alternative for Germany has continued to espouse an anti-EU platform. The AfD was founded in 2013 at the height of the eurozone debt crisis in protest against Brussels’ multi-billion euro bailout packages for Greece. But two years ago, the party began shifting decidedly to the far right, and European policy faded to the background. The 2015 refugee crisis was a driving factor behind the AfD’s paradigm shift, and today the party bases its appeal on anti-immigration and law-and-order issues. Germany’s mainstream parties, on the other hand, appear to be downplaying those issues. They seem well aware that migration and domestic security are hot-button issues among voters, but they are strategically avoiding discourse that might inflame the public. The CDU has touched on security in its election billboards now plastered on light poles and intersections across the country. One such poster pictures two police officers above the words: “Denen den Rücken stärken, die für uns stark sind” (Standing up for those who are strong for us). The conservatives’ slogan for the 2017 election is: “Für ein Deutschland, in dem wir gut und gerne leben” (For a Germany where we live well and enjoy living) – accompanied by the somewhat unfortunate hashtag #fedidwgugl. According to Peter Tauber, the CDU’s general secretary, living well stands for jobs and prosperity, and enjoying living means solidarity, order, and security. Yet beyond the posters – and the reassuring images of Chancellor Merkel, the ultimate safe pair of hands – domestic security has remained conspicuously absent, particularly as European partners like Spain and the United Kingdom have been hit by terror. “Established parties like the CDU and SPD won’t lead with it because if domestic security would play a stronger role, the AfD would profit,” Geissler said. “For the AfD, it is about playing on voters’ fears over foreign infiltration, security, poverty among seniors and pensions.” Take one of the AfD’s more notorious campaign posters, featuring two bikini-clad women and the words: “Burkas? Wir stehen auf Bikinis” (Burkas? We prefer bikinis). More than a million refugees and migrants have entered Germany over the past two years. Merkel has scrambled to change her original open-door policy, pushing through legislation to deport failed asylum seekers, tighten family reunification laws and, most significantly, striking deals with governments like Turkey, Morocco, and Egypt to stem the flow of migrants. Yet it was Merkel’s government – the CDU/CSU and junior coalition partner SPD – that in 2015 allowed opened Germany’s borders to refugees in the first place. And then there are issues where parties seem to lack the confidence to address voter concerns. Take digitalization, says Geissler, a major theme in the 2013 parliamentary elections. That summer, Germany was stunned by revelations of the NSA’s global surveillance program PRISM. Even Merkel’s own phone had been tapped. Berlin appeared weak and powerless. In the aftermath, Merkel was widely mocked then for referring to the Internet as “Neuland,” or uncharted territory. Since then, the threat of cyberattacks has grown considerably, particularly at the hands of Russia. The Bundestag already experienced a mass hack of its own in 2015, and there are widespread fears that data from that hack will be leaked ahead of this year’s vote to influence the outcome. Still, not much appears to have changed, according to Geissler, and cyber security certainly has not emerged as a major topic on this year’s campaign trail. “I get a sense that citizens are not getting any answers from politicians at the moment, maybe because politicians do not know how to handle the issue themselves,” he said. The disconnect with voters aside, Germany’s parties are now on the home stretch. The final weeks before the election are crucial in convincing the electorate of their political agenda, particularly when many voters have indicated they are undecided. That could mean that fewer voters end up going to the polls. Just over 71 percent of eligible voters cast their ballots in the last federal elections, one of the lowest turnouts in the country’s post-war history. But the Federal Agency for Civic Education (bpb) says it has also witnessed a different trend. 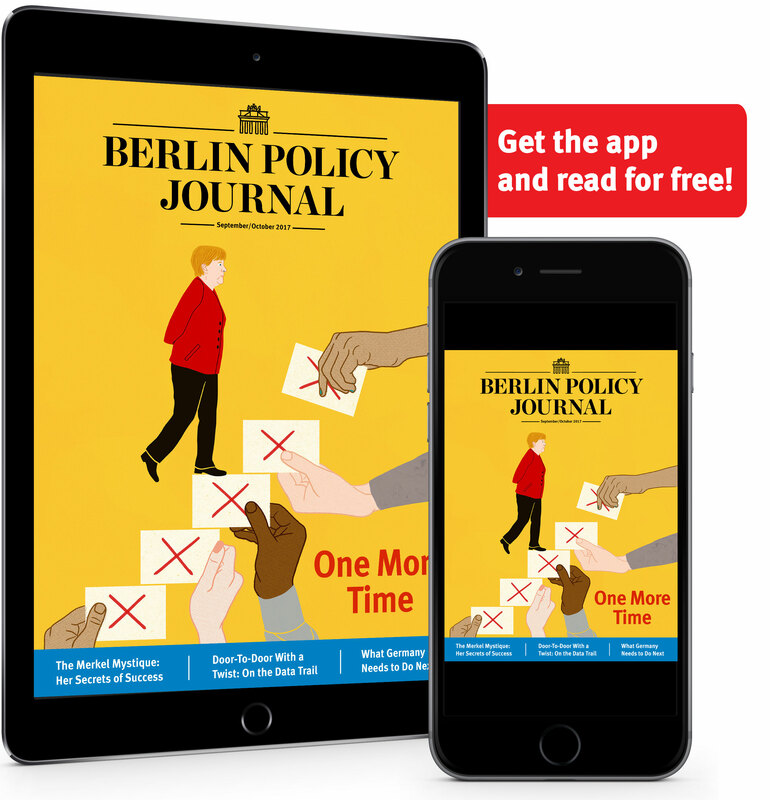 The agency offers a vast array of material on the German government, the election system, and the parties. Daniel Kraft, a spokesman for the bpb, says their printed materials in basic language were sold out immediately this year, forcing the agency to issue reprints ahead of the elections. “We have witnessed a high demand for information that explains our political system and the election itself in basic language,” he said. Kraft added that very few voters actually read through the individual parties’ programs. Instead, they turn to the bpb’s massively popular Wahl-O-Mat, an interactive election tool that guides users through a series of questions and analyses which party best represents the users’ own positions. The Wahl-O-Mat went online on August 30, just weeks ahead of the vote, and not a moment too soon. A study from the Allensbach Institute for Public Opinion Research says nearly half of all Germans still do not know which party they will select. And that gives Merkel’s opponents some reason for hope. is a journalist for Deutsche Welle in Bonn.